Every other second, a person is forced to flee. They leave everything behind in search of safety from war, conflict and natural disasters. 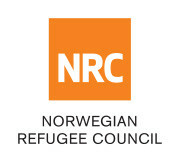 The Norwegian Refugee Council (NRC) is there when they need us the most. When you support us, you save lives and build safer futures. NRC is an independent humanitarian organisation helping people forced to flee. We work in both new and protracted crises in 30 countries, where we provide food assistance, clean water, shelter, legal aid, and education. We assisted nearly 9 million people worldwide in 2017, and thanks to people like you, we can reach even more. We make sure that your donation goes to those who need it the most. Over 90 per cent of NRC’s income is channeled to our work with people forced to flee – wherever they need us.